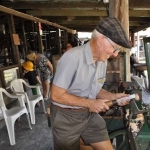 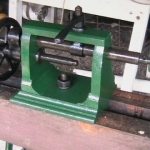 Our 100 year old woodlathe is an example of how things were done last century if you lived away from an electricity supply or did not have access to an engine as motive power. 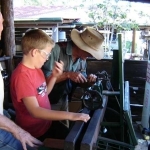 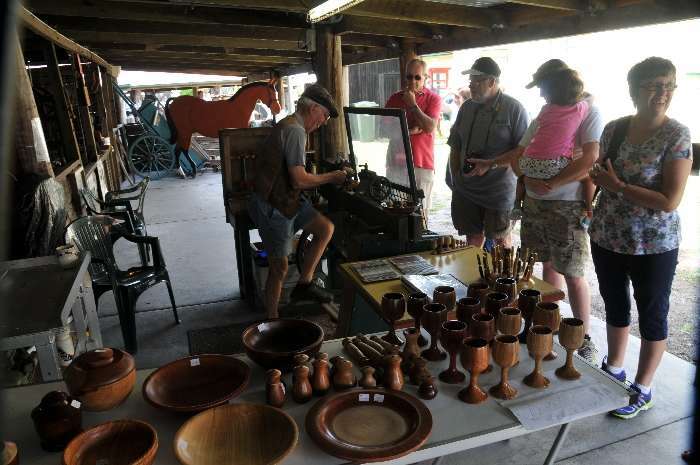 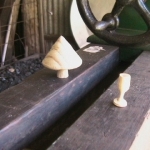 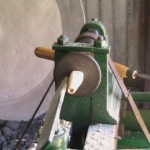 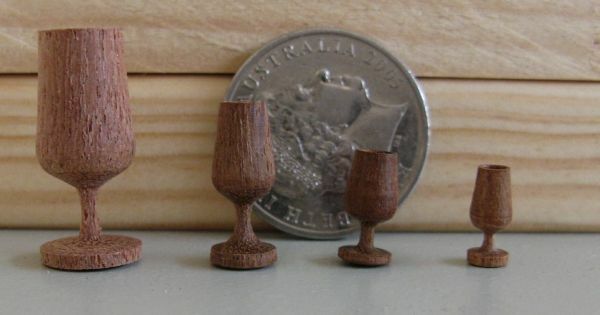 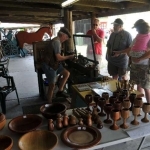 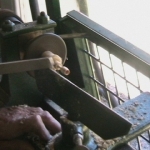 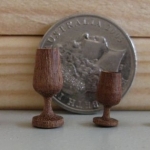 The art of wood turning has not changed over hundreds of years but the method of driving the lathe has changed considerably. 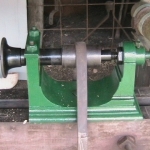 Tools have improved with better quality steel holding a sharp edge longer. 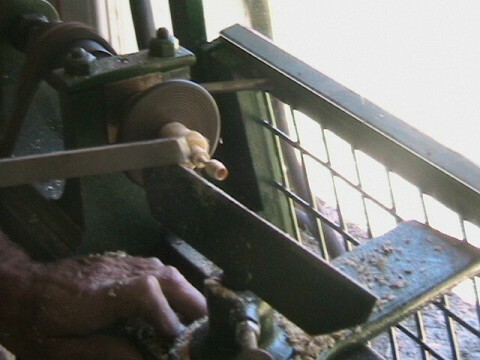 Improved methods of holding the work have also developed. 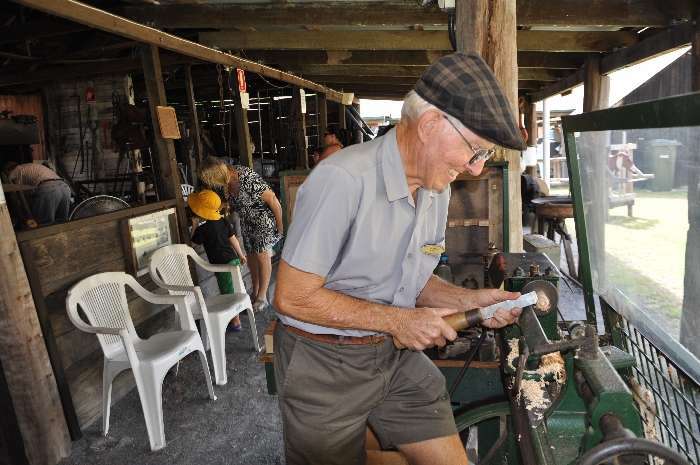 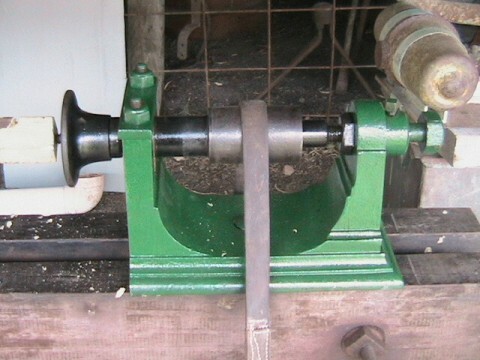 Wood turning in the past often meant treadling the lathe, especially if you lived far from town. 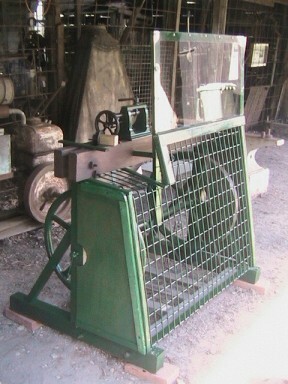 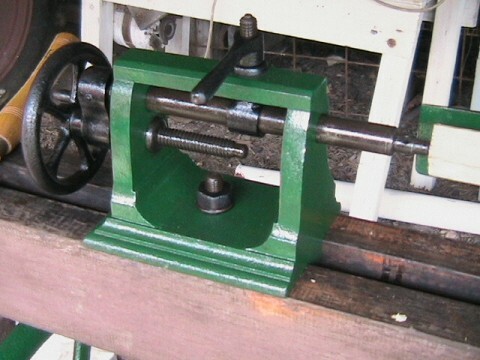 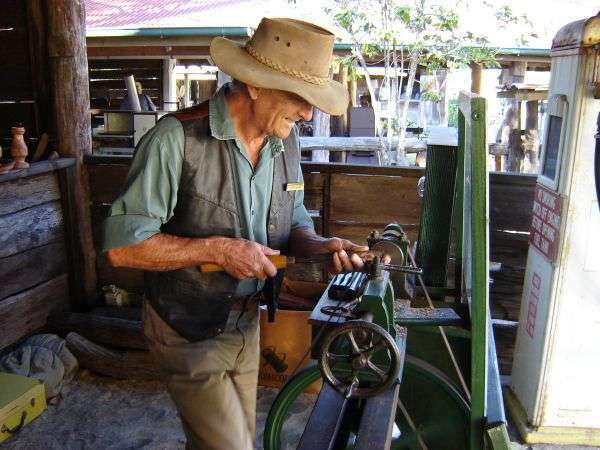 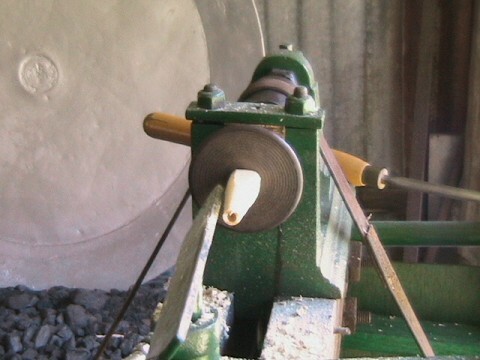 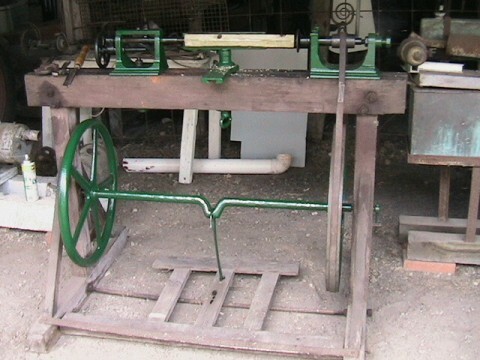 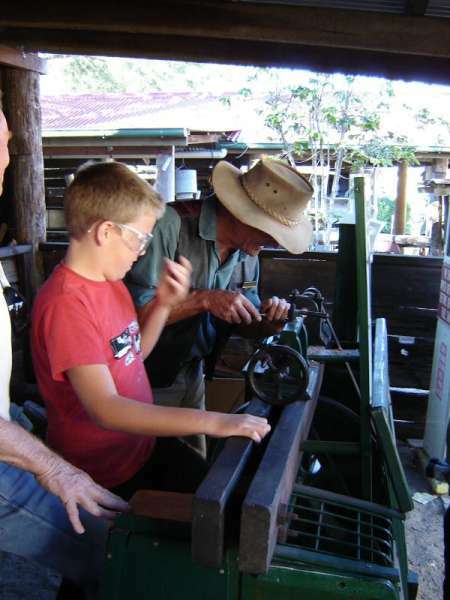 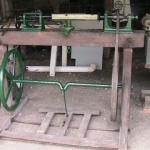 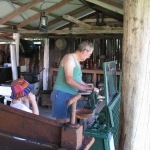 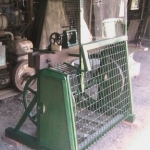 Sometimes a stationary engine would be used with a flat belt to drive the lathe. 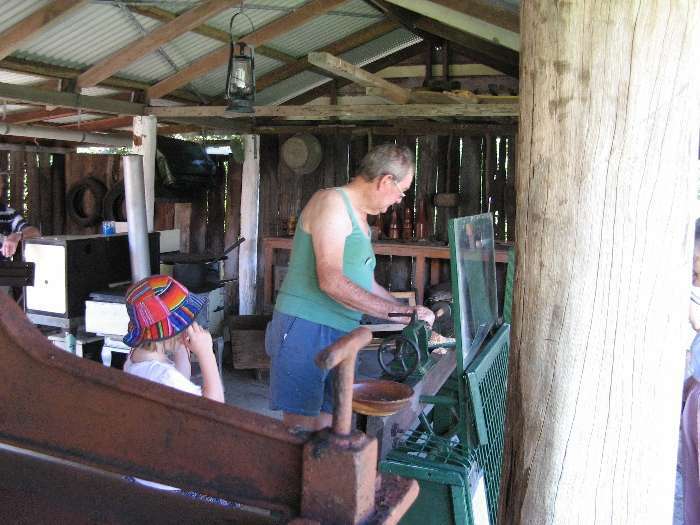 Sometimes the stationary engine would drive a generator to provide electricity for the workshop as well as the house. 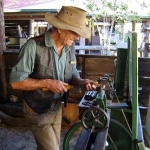 Treadle our lathe and help make your own unique souvenir, either a spinning top or a miniature goblet. 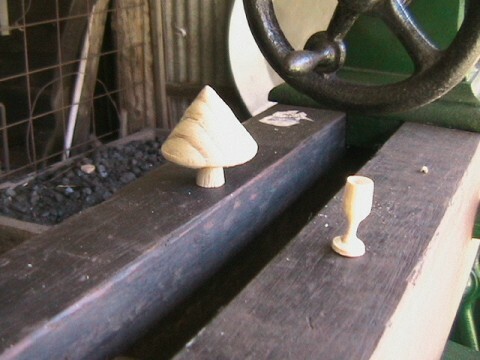 You can always purchase these items from our Reception if you don’t care to treadle the lathe.